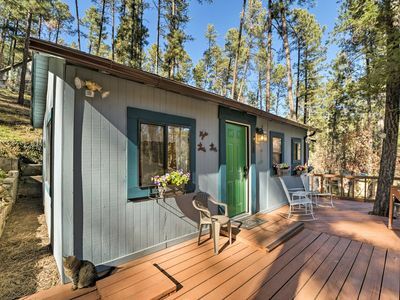 Escape to Alto for a relaxing getaway when you stay at this 3-bedroom, 2-bath vacation rental house. 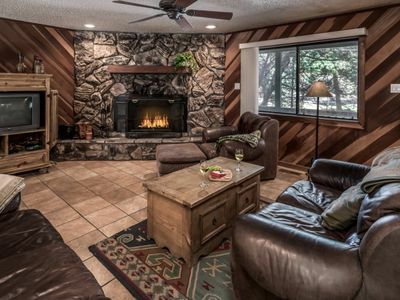 Offering accommodations for 8 throughout a rustic, spacious interior and situated on a 9-acre tract of pure woodlands, this ‘barndominium’ offers plenty of privacy for a group seeking a rejuvenating retreat. 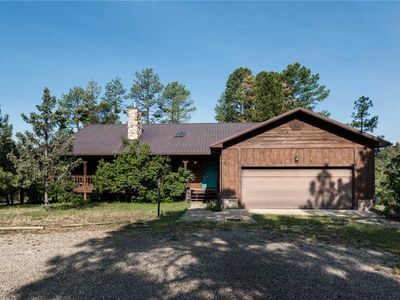 After a fun time at Flying J Ranch, right across the street, or an adventurous day at Ski Apache, just 13 miles away, retreat back to the home to relax on the private front porch or deck. 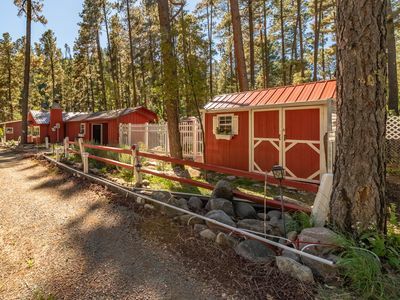 Tucked away in large pine trees, just off of Hwy 48, this barn-style home provides a tranquil, natural setting on a 9-acre tract. 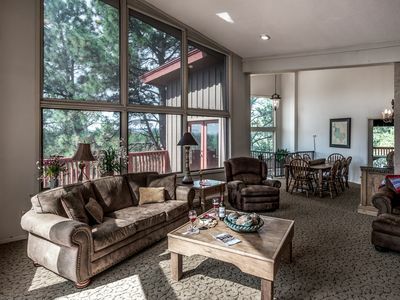 Look forward to sipping your morning coffee on the deck in the cool morning or relaxing with a glass of wine in the evening while enjoying 360-degree views of the pine trees and wildlife. 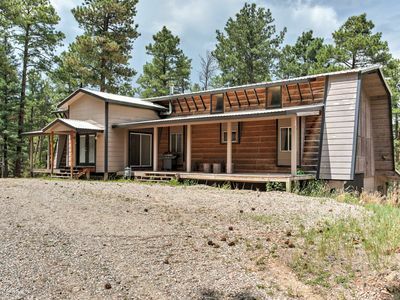 Inside, the home boasts 2,100 square feet of rustic living space, featuring 12-inch wood plank ceilings and 6-inch by 12-inch beams throughout the home. 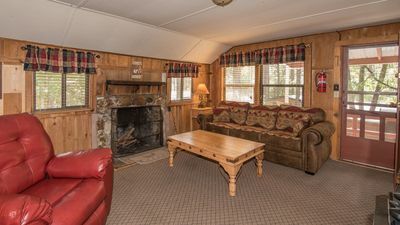 Cuddle close to the wood-burning stove while lounging on one of the couches in the living area, where you can watch your favorite shows on the flat-screen cable TV. 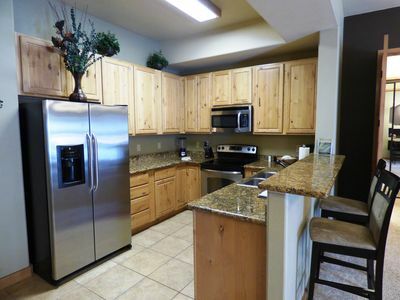 When it’s time for breakfast, lunch or dinner, make your way to the fully equipped kitchen, which has everything you’ll need to prepare delicious meals for the whole group. Enjoy your meals gathered around the 6-person wooden dining table or the 4-person table. 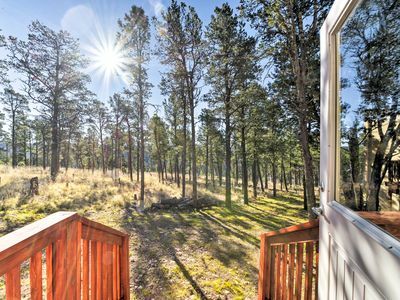 If you prefer, head out onto the front porch and fire up the propane grill for a cookout! If you’re planning an event, such as a small wedding or family gathering, the large, empty, 1,900-square-foot area on the top floor is perfect for just that! 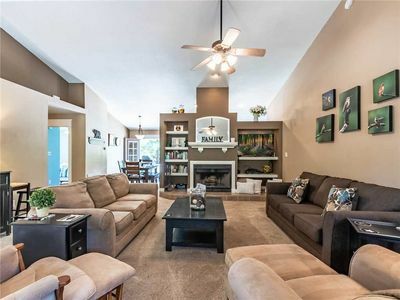 There is no plumbing on this level, but there is plenty of space for a large group to gather for a good time! Once the day comes to an end, you’ll be happy to retreat to one of the inviting bedrooms. 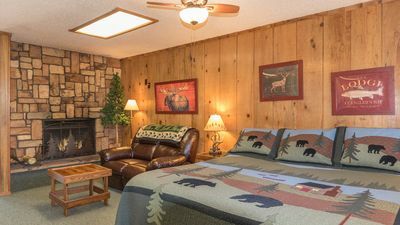 The master bedroom offers a king-sized bed, the second bedroom has a queen bed and the third bedroom has a king-sized bed. You’ll find another queen-sized bed in the office. 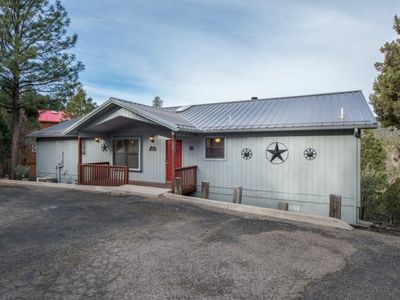 Situated right across the street from the famous Flying J Ranch, this house puts you in the perfect spot for a fun-filled vacation! 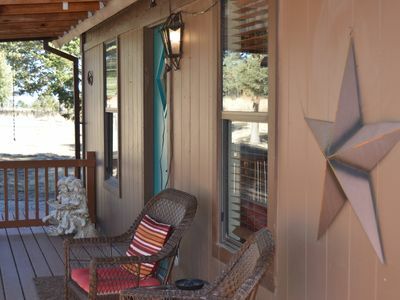 Head across the street to partake in the rustic dinner, see an old-fashioned western show, and find out just why this ranch has been voted the most famous tourist attraction in New Mexico. 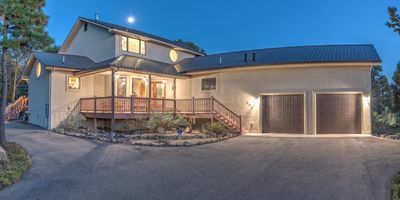 The golfers of the group will be happy to practice their swings at the nearby golf courses, including the Links at Sierra Blanca and Cree Meadows Public Golf Course. For family fun, play disc golf at Grindstone Canyon! If you’re feeling lucky, head over to Ruidoso Downs racetrack, offering over 300 slot machines and horse betting. 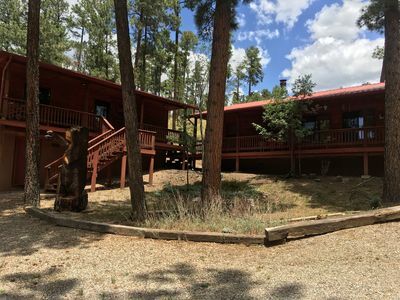 During the wintertime, shred some powder at Ski Apache, just 13 miles away, or go ziplining there during the summertime! 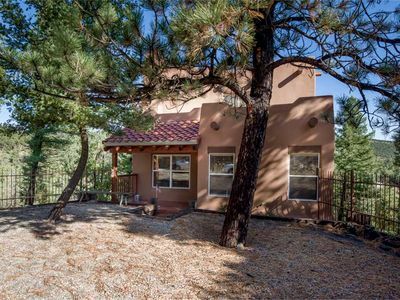 - Tranquil setting on 9 acres of pine tree forest, right across the street from Flying J Ranch, and just minutes from Ski Apache and Ruidoso Downs Racetrack! 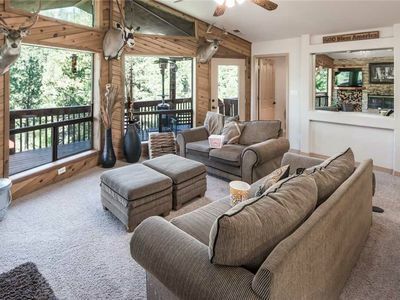 Lakeview–luxurious 5-bedroom home with views, hot tub & private courtyard! 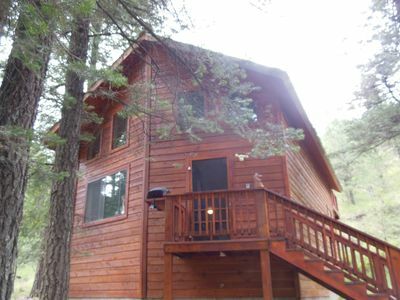 Beautifully decorated cabin with a Casita for the inlaws or additional guests. NEW! 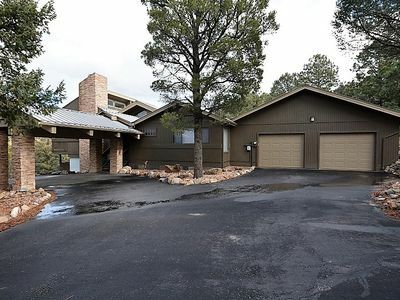 Lavish Home w/Porch - 10min to Ruidoso Downs! 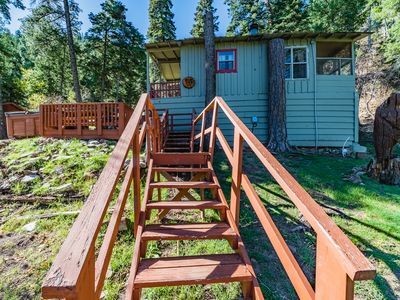 Cozy Ruidoso Cabin w/ Decks - 1 Mile to Downtown! 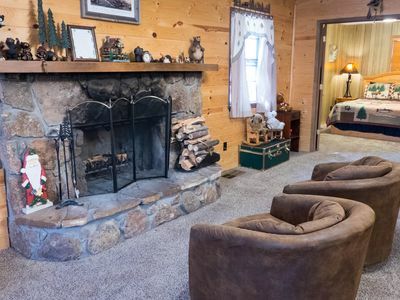 Whirlaway Cottage: A Nostalgic 2 Bedroom with a Hot Tub Just Feet Away from the River! !